Discover the beauty of Mallorca on this 3-hour stand up paddle tour. 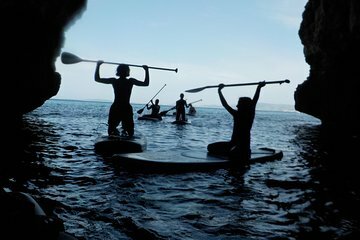 Learn various SUP techniques and begin your tour paddling along the seaside cliffs and crystal clear waters. Stop at various caves along the way for a bit of snorkeling and discover the diverse marine life below. Enjoy a delicious snack and soak up the scenery before heading back to shore.